"I imagine someone youthful, experimental and non-conformist being attracted to this collaboration," said Andrew Rogers, brand director of McQ, on their latest project with PUMA – a 16 strong footwear collection for both men and women. Previously it's been sibling brand Alexander McQueen that has teamed up with the sportswear heavyweights, but now they've passed the baton to McQ, and with excellent results. To celebrate this new era, we trace the key moments that have come to shape each brand. Alexander McQueen launched his diffusion line McQ in 2005, wanting to create a contemporary brand inspired by subculture and what was happening on the streets. Focused on youth, McQ embodies the rebellious spirit that McQueen championed through his work as a designer. In March 2011, London-based photographer Niall O'Brien travelled around the American Northwest to capture the spirit of road trip rebellion to match McQ’s youthful clothes for their campaign. With small-town America as the backdrop and models dressed in pieces from the McQ SS11 collection, the story of the road trip was told through a series of Tumblr blog posts to allow followers to keep up with it online. Alexander McQueen, renowned for its dramatic and extravagant shows, brought McQ to London Fashion Week with a runway debut in February 2012. 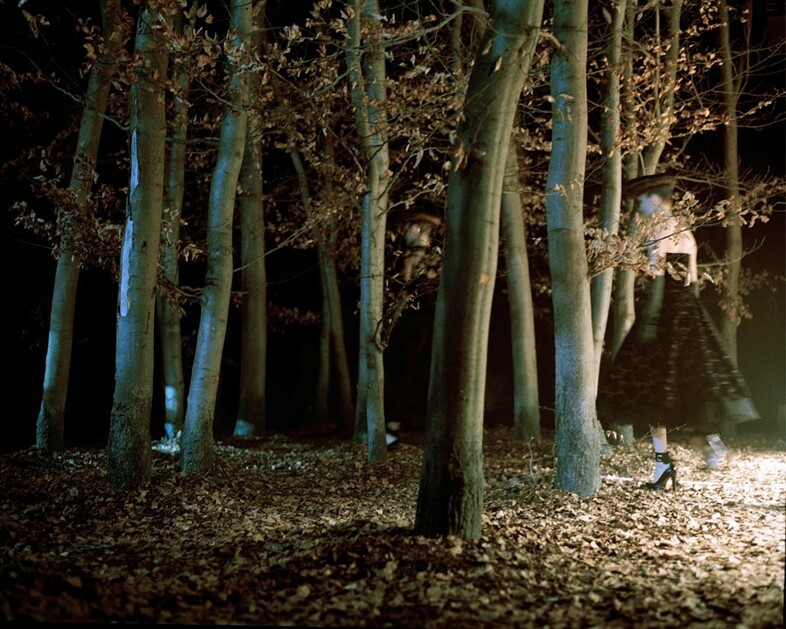 Models strode across a carpet of crisp leaves with Kristen McMenamy closing the show by walking through a haunted forest in a wild white wedding dress. Featuring Dazed cover star Natalie Westling and fellow model Paul Barge, the McQ AW14 campaign presented a younger and rough and ready vibe to the brand. 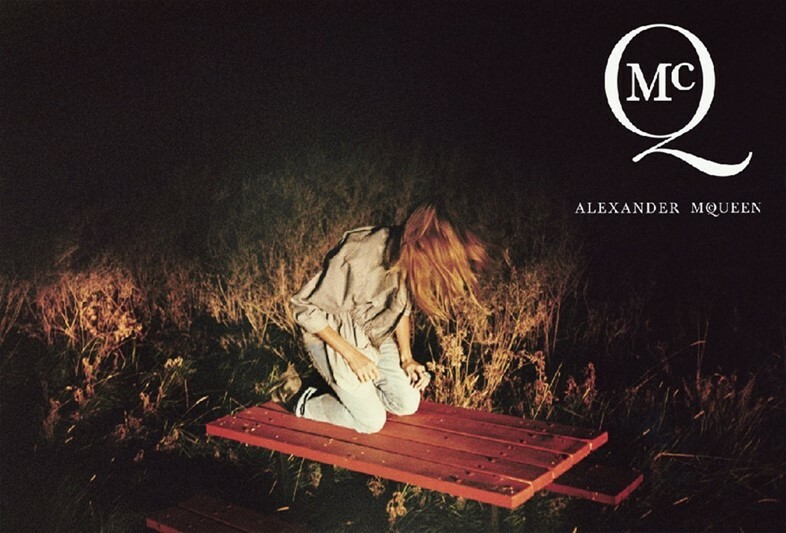 Shot by fashion photographer Karim Sadli – who has also captured Edie Campbell and Stella Tennant for Alexander McQueen Haute Couture – in South-West London, the location and fresh-faced models served to bring out the youthful spirit of McQ. To preview the SS15 womenswear collection, McQ took over Bloomsbury's Dairy Art Centre during London Fashion Week with a DIY presentation complete with metal railings, ladders and cardboard blocks, as well as lookbook images blown up into giant proportions. Just like a full-blown McQueen collection, SS15 for McQ has its roots in rebellion, with rave attire of metallic biker jackets, printed sweatshirts and boyfriend jeans. Despite those obvious punk motifs – such as the open weave knits, track pants and bleached denim – the collection has a surprisingly clean aesthetic. PUMA are best known for their formidable footwear, and German tennis star of the 80s and 90s Boris Becker has put his fast moving feet to winning effect throughout his Grand Slamming career. Check pics of BB leap-volleying his way to Wimbledon victory and it’s a PUMA in his hand and Boris Becker OGs on his feet. In October, PUMA SELECT are reissuing the classic style the star gave his name to for a new generation. The shoes will be rereleased on the 24th, but in the meantime – check out Boris and his son Noah reminiscing about Becker's legendary on-the-court moments in the video above. The PUMA Disc was one of the break-out sneaker designs of the early 90s, dispensing with laces and adding a neat dial that tightened trainers without messy knots and bows. 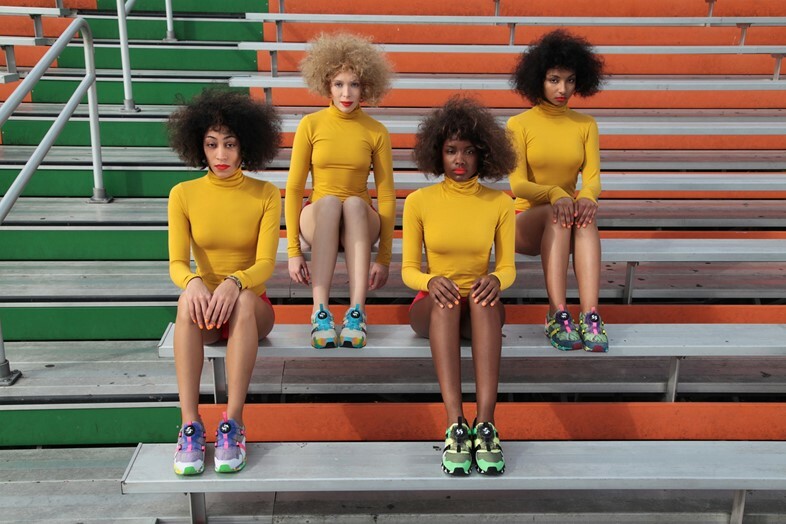 It was this style that Solange jumped to revive when she became PUMA’s art director and creative consultant last year. PUMA’s sponsorship of Usain Bolt and the Jamaican track and field team has been a masterstroke. The world’s fastest man and his teammates wore collab designs by Bob Marley’s daughter Cedella at London’s 2012 Olympics, with Bolt also starring in PUMA's Forever Faster campaign alongside Mario Balotelli and golfers Rickie Fowler and Lexi Thompson. 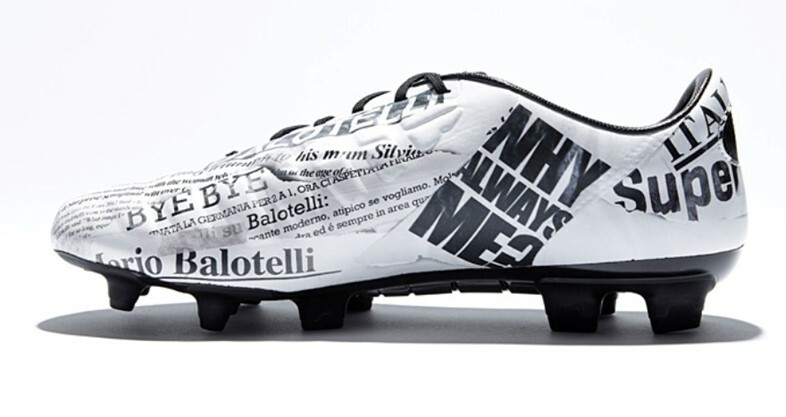 Late last year, “Super Mario” Balotelli joined the PUMA family, kicking off the reveal of the much anticipated evoPOWER Stampa, using newspaper print that exclaimed, “Why always me?” and “Why always PUMA?” – expressing how both brand and player adore grabbing the headlines. Balotelli has since appeared alongside other big name sporting personalities in PUMA's Forever Faster campaign. Back in January this year, New York based sneaker designer Ronnie Fieg collaborated on a special COA (Coat of Arms) edition of the PUMA Disc Blaze, which he launched in Paris at a pop-up of his cult NYC store KITH. Feig's conceptual retail locations – found in Manhattan and Brooklyn – hold a cross collection of top trainer brands and is the first stop for sneakerheads in the city. Fieg also has a renowned reputation for his collaborations, making him one of the most in demand designers in the industry.